Healing aspects of the underground labyrinth “RAVNE” in Visoko. 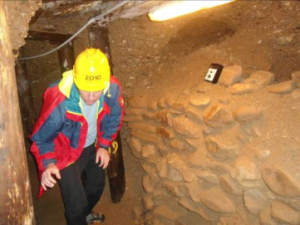 Testimonies of many tourists in 2011 and 2012. that their stay in the Underground Labyrinth “Ravne ” have brought a number of health improvements initiated a series of studies of the Foundation “Archaeological Park: Bosnian Pyramid of the Sun” in order to find scientific confirmation of these claims. 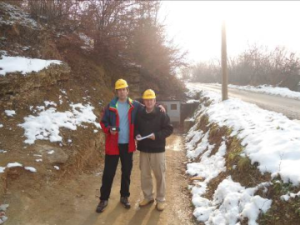 Foundation team composed of Borut Bric from Slovenia and principal investigator Dr. Sam Osmanagich, performed a measurement of the concentration of negative ions in the 19 control points, of which at one location in Sarajevo (near hotel Holiday Inn), one at the entrance to the Underground Labyrinth “Ravne” and 17 locations inside the underground maze. Measurements were made on December 24th, 2012. 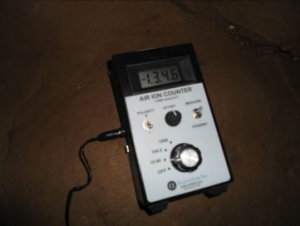 Instrument “Air Ion Counter” was used, made by the American company “Alpha Lab, Inc.” this instrument has been used to measure the density/concentration of negative and positive ions in the air. Measurement capacity is up to 2 million negative ions. Negative ions are atoms or molecules that have more electrons than protons in their nucleus. Negative ions are atoms or molecules that have more electrons than protons in its nucleus. Series of the analysis in the past 120 years have proven health benefits of negative ions. Specifically, the negative ions clean the air of dust, spores, mold and pollen. The higher concentration of negative ions is in the woods, the mountains, by the sea and waterfalls. In short, the negative ions destroy bacteria, vitalize our cells, increase the volume of oxygen in the blood, improve metabolism, increase the power of concentration and alertness, eliminate fatigue, increase resistance to disease, cure headache, insomnia, constipation, allergies, asthma, and many other problems. Therefore, the concentration of negative ions in the premises of the Underground labyrinth is three to four times higher than in the mountains! This preliminary study definitively confirmed that the concentration of negative ions increases with distance from the entrance. 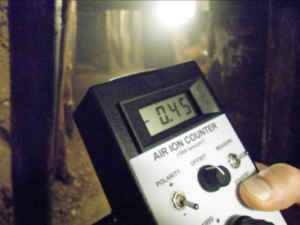 That is why the first few years of research (2006-2010) only a few sporadic statements about medical effects were heard after visit to the tunnels. At that time the length of the tunnel was only 100-200 meters. 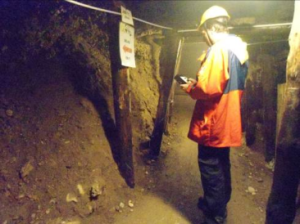 Opening and cleaning about 940 meters of the prehistoric underground tunnels by December 2012 led to the arrival in the section of the tunnel with much higher concentration of negative ions. The highest concentration was observed in the underground chambers. Foundation will make sure that this underground healing structure remain open year around with professional guides available at all times.